The best laser multifunction printer (MFP) for your startup or small workgroup should enhance collaboration, raise productivity and offer a low total cost of ownership (TCO). 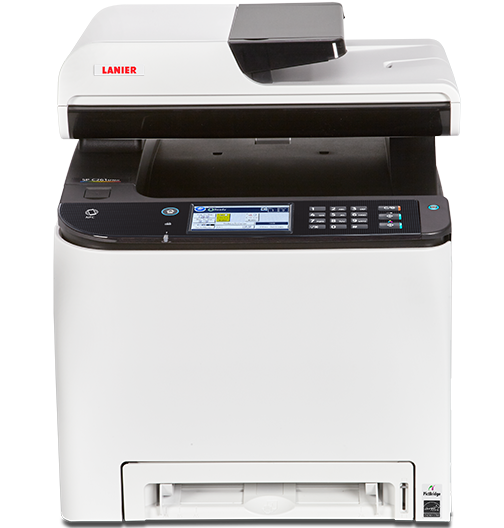 Introducing the Lanier SP C261SFNw Color Laser MFP a powerful, yet compact MFP designed for personal users or workgroups of up to three people. You'll save time by printing up to 21 pages per minute (ppm), and capture and share information efficiently with copy, scan and fax capabilities.